Singer and songwriter Barry Gibb arrives at Buckingham Palace. 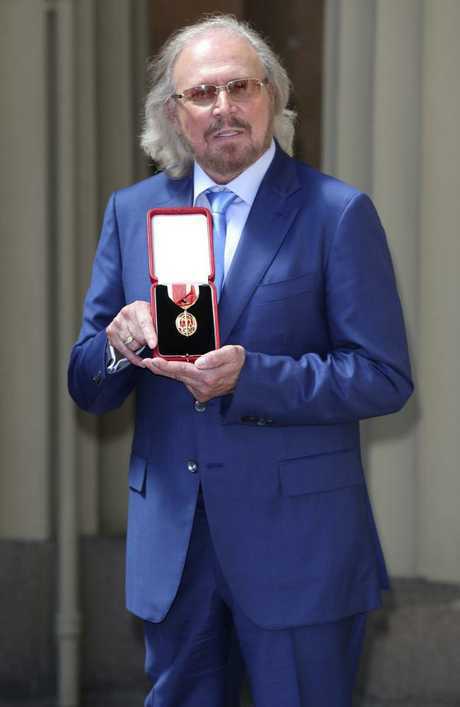 IT was a different kind of knight fever in London tonight when Bee Gees legend Barry Gibb was bestowed with a knighthood. 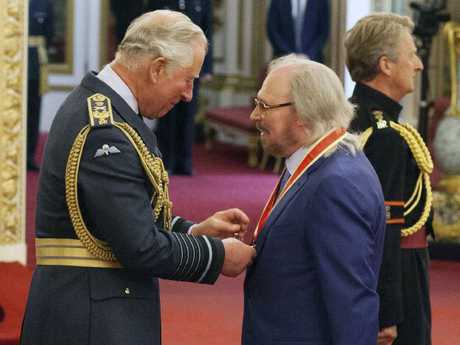 Sir Barry received his gong as a Knight Bachelor from Prince Charles at an investiture service at Buckingham Palace, honoured for his services to music and charity. The 71-year-old fronted and co-founded one of the world's most successful pop groups, the Bee Gees, with his brothers, the twins Robin and Maurice, in 1958. 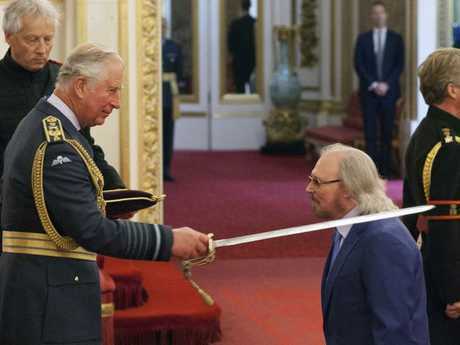 Barry Gibb is knighted by Prince Charles at Buckingham Palace. 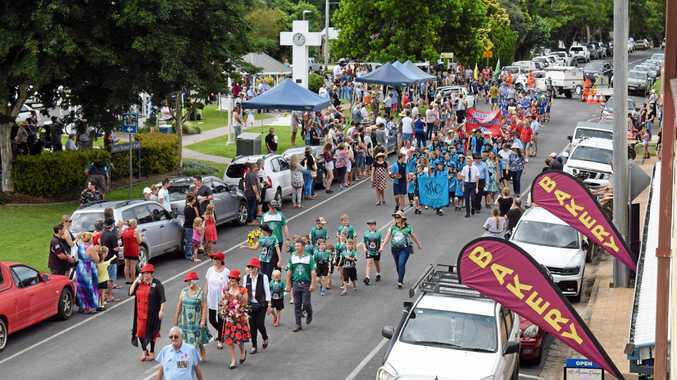 Born on the Isle of Man, raised in Manchester, the singer-songwriter brothers moved to Australia for a period in the late 1950s and early 1960s, living in Queensland before moving back to the UK and eventually settling in the United States. 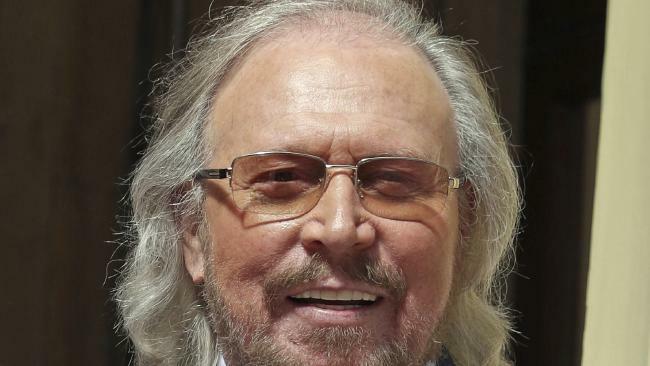 Barry Gibb dedicated the honour to his late brothers. Their hits, sung in their trademark three-part harmony, included some of the defining songs of the disco period including Stayin' Alive, You Should Be Dancing, J ive Talkin' and Night Fever. With more than 220 million albums sold, the Bee Gees remain one of the most successful bands in the world. 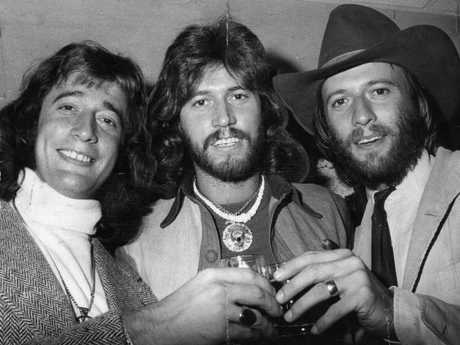 Barry Gibb, centre, with brothers Robin and Maurice arrive at Adelaide Aiport in 1974. Maurice Gibb died of natural causes in 2003 at the age of just 53, while Robin died in 2012 at the age of 62 during surgery. Andy, the youngest Gibb brother and a pop star in his own right, died from a heart condition in 1988 at the age of 30. 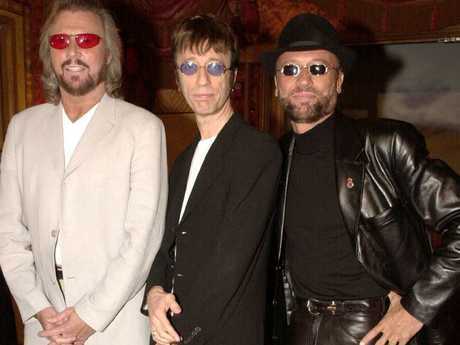 The Bee Gees legend dedicated his knighthood to his late brothers. "This is a moment to be treasured and never forgotten. I want to acknowledge how responsible my brothers are for this honour. It is as much theirs as it is mine,'' he said. "The magic, the glow, and the rush will last me the rest of my life." 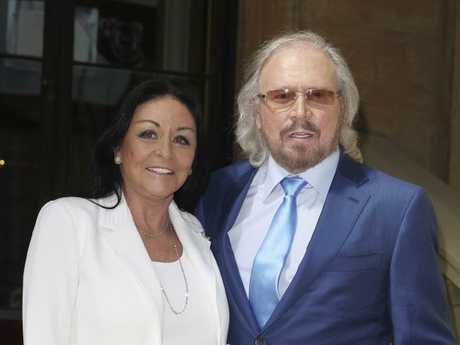 The Bee Gees legend received the honour for his services to music and charity. The music legend with wife Linda before the ceremony.